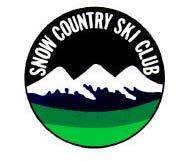 Snow Country Ski Club Members Page on Facebook can be found here. We need approx. 15 attendees at each work party and are particularly keen to hear from any tradespeople and generally 'handy' people in the Club to join us. Accommodation will be provided with details to be confirmed nearer to the date. Could you please reply via email or phone of your ability to attend to DAVID BARTLEY who is co-ordinating the work parties for us, listing which date(s) you are available. Thanks in anticipation for your support of these work parties as we prepare the refurbished Smiggins Lodge for the upcoming season. The SCSC AGM to be held at 10:30am on Sunday the 5th May 2019 at Georges River 16’ Sailing Club, Sanoni Ave, Sandringham NSW 2219. The information and documents for the meeting are able to be viewed on the following links. Please note, we will NOT be accepting bookings for the Smiggins Bowl weekend before June 1st. It is Snow Country’s turn to host the Smiggins Bowl in 2019, so we look forward to a big turnout of participants to see if we can bring home the Bowl this year ! Shortly, David Carr will send an email to the membership alerting them about the annual subscription notices and an update on the Smiggins Lodge refurbishment. Over the next few days you will receive two emails from Snow Country. If you haven’t received the emails by Wednesday please check your junk items / spam folder. If you have a new email address that hasn’t been advised to the Registrar, can you please let David Carr know asap. The first email will have your log-in details to the new booking system. Your log-in will be your email address that Snow Country has registered on our system. You will also receive a password that you can change after your first login. You will use these details to log-in to the booking system and you can pay your invoice through our PayPal account. The second email will have your an invoice attached outlining the subs due. This invoice will contain a link to the new booking system payment portal. Alternatively, go to Snow Country’s website and you will find a link to the payment portal. You can also pay via Direct Debit to the account shown on the invoice or by cheque. For articles from the previous years News Pages:- click here. Click here to read the most recent Newsletters. Do you have any photos to share of the recent ski season, OR your summer holiday in the Snowy Mountains OR an international Winter experience? Just email them to the Websubmission and we will arrange to post them on the website. Contact Snow Country Ski Club for further information on our club. Contact Webmaster for any comments & suggestions regarding this site.